Sukkot Once Again: Time to Revitalize and Nourish the 70 Nations. This year, more than ever in our history, more than ever in the 3330 years since we entered the desert, it is imperative we make the Sukkot connections with conscious and utilize the G-d given technology to make the highest possible linkages to Binah/Moshiach for ourselves, for Israel and for the world. When we’re called to the Torah we’re supposed to channel and share our energy with the entire congregation. Even more so when we’re called before the King of Kings and receive his blessings and energy for the new year; we are suppose to share it with the whole world, hence the holiday of Sukkot. Through the proper meditations and the implementation of the ancient knowledge with the proper traditional technology the well-springs will open and flow for everyone. We are repeating and updating below an article that we have posted over the years to explain many of the secrets and kavannot of the shakings of the lulov within the sukkah. This year, if we shake with our hearts we will shake the world awake and shake open the gates. Let’s do it together. Regarding the daily shakings of the four species, there are 5 sets, each of which is done in the 6 directions of the cube, for a total of 30. This corresponds to the 30 blasts of the shofar in each set on Rosh Hashannah and the large letter Lamed(ל), which is spiritually connected to Binah and has the numerical value 30, that is found in the Torah reading just prior to Rosh Hashannah. The word Lamed (למד) has the numerical value of 74 or 70 +4, representing the 70 Nations, the 4 species, and the 4 exiles, and not coincidentally the large Ayin (ע) and Dalet (ד) of the values 70 and 4 respectively of the Shema. That Lamed (ל) connects to the Lamed (ל)of Lulav (לולב). According to Abraham Avinu, it is also the letter Lamed(ל) that along with the letter Pe (פ) controls the month of Tishrei (Libra), the month in which we do both the shofar blowings and the shakings. It is also the lamed (ל)of the word Aleph (אלפ, the first), and when the controlling letters of Tishrei, the letters Lamed(ל) and Pe (פ) are completed with the letter Aleph (א) they spell out the word Aleph (אלפ), connecting them to keter and the beginning, as in Aleph B’Tishrei (permutated to spell Bereshit, the beginning). It also connects the month to premordial Aleph (א) and the upcoming 1000 (eleph, אלפ) years of Binah. If you have not figured it out yet, most things in Kabbalah come in threes(3’s) or triplets, corresponding to the 3 column archetype of the our 3-dimensional universe. The 3 shakings that we make per each of the 6 directions of our essential cubic sukkah, correspond to the 3 beats per type of blast of the shofar that we just did on Rosh Hashannah. Therefore, there are 18 shakings in total per set, and as Rav Abraham Brandwein of blessed memory points out, “The Lulav hints at the vertebral column that has 18 vertebrae and every movement indicates vitality. Thus all 4 species need to be damp and alive and not dry.” The 18 shakings also corresponds to the value of the word, chai(חי), life. And straightening this connection is that the word value of lulav is 68, as in chaim (חיים),life and the Tree-of-life. With 18 shaking per each of the 5 sets plus the shaking at the blessing there are 91 total shakings per day, which corresponds to teh numerical value of amen and the all-important unification of G-d’s Names the Tetragrammaton (YHVH) with Adonai (אהדונהי) that we should meditate on when we same Amen. 91 is most appropriately the value of the word Succah (סוכה)itself, which helps us to integrate the inner and outer light. Moreover, at 30 daily shakings x 7 days, there are 210 total shakings, as in the 210 years of Egyptian exile. 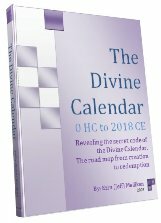 The 210 total shakings in the complete cycle of 7 days are very significant and are not coincidentally related to the 210 years of Egyptian exile. It is well known that the maximum height of a sukkah is 20 cubits, though what is concealed in that cubic space that is contained within that maximum 20 cubit cube are 20 concentric cubes, each diminished by 1 cubit at a time. In other words, there are 20 cubes within one another like Russian dolls: one of 20 cubits³, the next of 19 cubits³, then 18 through …1 cubit³. If these cubes were stacked on top of one another, we would have a towering stack of 20 cubes equal to 20+19+18…1, which equals 210 cubits in total height and 44,100 cubits³ in total volume. The number 20 (twenty) in Hebrew is written Esrim (עשרים) of numerical value 620, the same as the word, Keter, the highest dimension, and the same as the 620 letters in the 10 Commandments. This is like the Holy of Holies itself which measures 20 x 20 cubits square. When we reach Keter in our counting or stacking from 1…18+19+20, we reach 210 levels, or years in the case of the Egyptian exile, so is it coincidental that we also reach the top of the Great Pyramid of Giza at exactly 210 levels and 210 cubits in height? The volume of those 20 cubes, 44,100 cubits³, is awfully evocative of the Hebrew word for truth, Emet of numerical value 441. Why make this comparison? Because just as the pyramid was an antennae built to all the right codes and specifications, so is your sukkah. It is designed to help us end our exile and connect us to the highest levels, allowing us to tap into and share the pure and powerful energy of Binah. Then when the 3 shakings per direction are considered over the full 7 days, there are 210 x 3 or 630 total shakings in the 7 days. 630 is 10 x 63, the value of the Tetragrammaton in the aspect of Binah. The number 10 always corresponds to the 10 sefirot (dimensions), and in this case to the 10 sub-dimensions (inner sefirot) within Binah. During the entire process of Sukkot, we’re drawing down the energy from Yesod of Ima (Binah) so we see how the overall Binah connections are very fitting and part and parcel to the technology involved in the shakings. For these reasons it is very important to do the full 7 day cycle of shakings, and even though we do not physically handle the lulov and etrog we should go through the motions and meditations as if we were. This is what Rav Berg of blessed memory did and we diligently went through each one with their associated kavonot. This is what I suggest you do as well. It is 5778; it is time to utilize ALL of the technology available to us. Over the 7 days of Sukkot, we’re making 70 sacrifices to share the energy with the 70 nations of the world. Each of these sacrifices corresponds to a specific one of the sub-sefirot in order as we descend through them during the 7 day period. Regarding the four species: As we know from the Arizal, the four species correspond to the 4 letters of the Tetragrammaton (יהוה): Hadas (י), Aravah (ה), lulav (ו) and Etrog (ה). So since the numerical values of Hadas and Aravah = 346 (שמו), and those two species correspond to (יה), they spell out “The Name YH(יה שמו).” The three sides of the sukkah itself forms the shape of the letter Bet (ב), completing the B’Y-H ShMV (ביה–שמו) sequence that comprise the 6 letters that occur at the top of the 248 columns of the Torah that are specifically not vavs(ו) and whose numerical value is that of H’Moshiach (the Messiah). As for the lulov, it can be said that the word lulav (לולב) represents the entire Torah in two different ways since it begins with (ל) and ends in (ב) and since it also ends in the letter combination Lamed-Bet (לב), as in the first (ב) and last (ל) letters of the Torah. This letter reversal is an allusion to the recycling of the Torah that occurs during this period, when we read the last verse of the Torah and immediately twist it back to the beginning and read from Bereshit. While the numerical value Hadas and lulov together (68+69) equals 137, the numerical value of kabbalah, meaning “to receive” and “parallel,” the numerical value of Hadas (הדס) and Aravah (ערבה) and lulov (לולב) together equals 414, which is twice the numerical value of Or, light, 2 x 207, thus representing the running and returning light. As for the 4th species, the etrog (אֶתְרוֹג) has the numerical value 610, as in parnesa (sustenance) and ma’aser (tithing), and their corresponding kabbalistic meditations for drawing the Shefa into our lives. This numerical connection makes logical sense, considering that the Etrog corresponds to the malchut of yesod, the place where we earn our parnesa (sustenance). Nevertheless, the total value of the 4 species (610+277+68+69) is 1024, which not only matches the 1024 unique word values in the Torah and is 32² , as in the 32 Paths of the Tree-of-Life, but is also representative of the number of vertices (points) on a 10-dimensional hypercube. In simpler terms the 4 species combined connect us to the 1024 portals of the Torah in the spiritual hyperspace (Binah). Moreover, not coincidentally 32 x 32 cubits is the measure of the Holy Alter in the center of the courtyards of the Third Temple. Fortunately, this connection to the 1024 portals happens for us automatically once we incorporate that understanding into the consciousness of our shakings. To fulfill our responsibility of sharing the light with the 70 nations we can connect to the 4 final letters (בסהג) of the names of the 4 species, which add up to 70. These connections that have existed as is for 3330 years are all the more imperative since the 4th exile is supposed to end 70 years after Israel became a nation in 1948 (5708), which would be this year, 5778 (2018 CE). Given the importance of the sharing of the light with the 70 nations at the end of the 70th year, the letter Ayin (ע) with the numerical value 70 stands out as the 16th letter of the Hebrew alphabet, so it’s not coincidental that there are 16 letters in the names of the 4 species. The sum of the ordinal value of those 16 letters is 151, as in the value of the Name, Ehyeh (אהיה) spelled out (אלפ–הה–יוד–הה) which is the Name of G-d that it is at the level of Binah from where we are drawing down the energy into the 4 species. I highly suggest you use a kabbalistic siddur (prayer book) for doing the shakings in order to make the proper, purest, and highest connections. It is complicated technology and when we are going through the repeated circuits of the shakings we become one with the mechanism. It needs us at the center to manually do the movements and make the right visual connections to the associated Names of G-d and everything else is divinely driven. Moreover, the sum of the ordinal value of the letters in lulav is 32, as in the numerical value of the letters Lamed and Bet (לב), which spells Lev, the Hebrew word for heart. This is another connection to the 32 paths of Wisdom, which is in essence the Tree-of-life (Etz Chaim), as represented on Sukkot by the lulav, whose standard gematria value is 68, which as we noted earlier is that of chaim (life). We mentioned earlier that the Alter in the very center of the Courtyards of the Third Holy Temple is 32 x 32 cubits. Since the Inner Courtyard measure 100 x 100 cubits, the distance from the Alter to the edge of the Inner Courtyard is 68 cubits on all sides. So when stand in our sukkahs doing the shakings, we can connect to and imagine that we are at the central Alter in the Third Holy Temple and extending our lulavs outward, metaphorically and metaphysically, to the boundaries of the Inner Courtyard. The Third Holy Temple is already here spiritually and the more we connect to it the quicker it will be here physically. The complete gematria value of the word Lulav (לולב) is 68 + 32 = 100, which is also the value of sach (סככ), the roof (covering) of the Sukkah, an extremely important component in the Sukkot technology. The sach represents keter, the highest sefira, and is evocative of the height of the Third Holy Temple, 100 cubits. So when we shake the Lulav we not only want to bring it back to our heart, but we want to mediate on the light and love channeling back and forth through it, as we stand both in our succahs and in the center of the Third Temple, channeling for the entire world. Now, if we add all the elements of the holiday together, we get 100 (Sach) + 91 (sukkah) + 1024 (4 species) = 1215, which as we discussed in our previous article is the numerical value of “70 Languages,” and therefore representative of the 70 Nations that sit on the branches of the Tree-of-Life waiting to be watered from our connections. Like the first 4 words of the Shema, the complete value of the first 9 letters of the Torah is also 1215, as are the 11 unique letters in the Torah’s first verse. In the portion of the Torah read just prior to Sukkot, there are 11 extraneous dots over the letters, a phenomenon that occurs 10 times in the Torah. Now, while the last of those 11 letters in the words under the 11 dots is the letter ayin, with a value of 70, the complete value (standard and ordinal) of all 11 letters under the dots is 422, which is the exact numerical value of the word “seventy (70).” These, of course, connect to the destruction of the first Two Holy Temples in –422 BCE and in 70 CE, respectively, as has already been detailed and chronicled in The Divine Calendar. These self-same 70 Nations are gathering this year to attack Israel, as the Zohar prophesied nearly 2000 years ago. Every manufactured twist in the world tension brings the world closer to global war and mayhem, yet by fulfilling our G-d given role, we can inject enough Binah consciousness into the world, and have mercy rain down instead. Sukkot is usually the time of joy, when the energy of rejoicing is drawn down upon us by our actions within the succah for the entire year. This yea, it is the time of action, when what we do has the power to determine the sake of humanity. Evil and its conduit, the Erev Rav are running rampant throughout the world. Physically, it may be too late; spiritually, we have the tools we need to triumph. This Sukkot, let us put joy in our hearts; let us stand at the Alter of the Holy Temple as we stand within our Sukkahs; let us use the gyrating wand of the 4 species to channel the energy of Binah into our lives and out to the whole world; and let us bring Moshiach consciousness to the world once and for all. 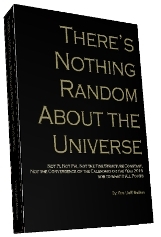 Author Jeffrey MeilikenPosted on September 21, 2010 October 3, 2017 Categories RevelationsTags 10 dimensions, 10 sefirot, 10 x100, 100 32, 11, 11 sefirot, 1214, 1215, 137, 1948, 207, 210, 210 years, 30, 30 blasts, 30 shakings, 32 paths, 32 paths of wisdom, 32 x 32, 4 species, 422, 422 BCE, 4th exile, 5708, 610, 63, 630, 68, 69, 70, 70 CE, 70 nations, 70 years, ADNY, Amed, ber, Bereshit, binah, Da'at, Ehyeh, EHYH, etrog, exile, Future Holy Temple, gematria, heart, Holy Temple, lamed, LB, lulov, mikve, pouring of the water, rosh hashannah, sach, shofar, succah, sukkot, Tetragrammaton, Third temple, tithing, Torah, tree-of-life, well, YHVHLeave a comment on Sukkot Once Again: Time to Revitalize and Nourish the 70 Nations.